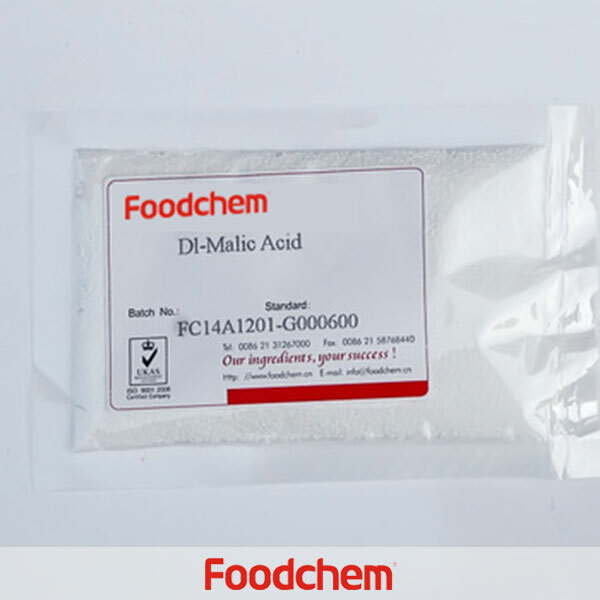 Calcium Lactate is one of the popular food additives and ingredients in most countries, As a professional Calcium Lactate supplier and manufacturer, Foodchem International Corporation has been supplying and exporting Calcium Lactate from China for almost 10 years, please be assured to buy Calcium Lactate at Foodchem. Any inquiries and problems please feel free to send emails to us via sales@foodchem.cn, we will reply you within 1 working day. Calcium Lactate is smelless white granular or powder and can be easily dissolved in hot water but not dissolved in inorganic solvent. It is produced adopting fermentation process using biolocal engineering technology with starch as raw materials.Nutrition fortifier for calcium, buffering agent and raising agent for bread and pastry, It is easier for absorbability as hardening agent. It can prevent calcifames as drug. 4. Used as an additive in the smashed meat of sausage and banger. 2.Used as nutrimental in medical treatment. 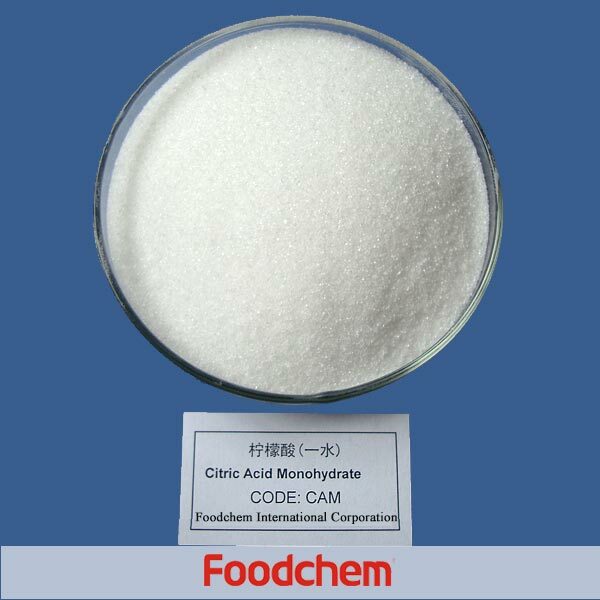 Foodchem is an ISO2008 9001 certified company, as for Calcium Lactate, we can offer HAPPC, KOSHER, HALAL Certificates, ect. 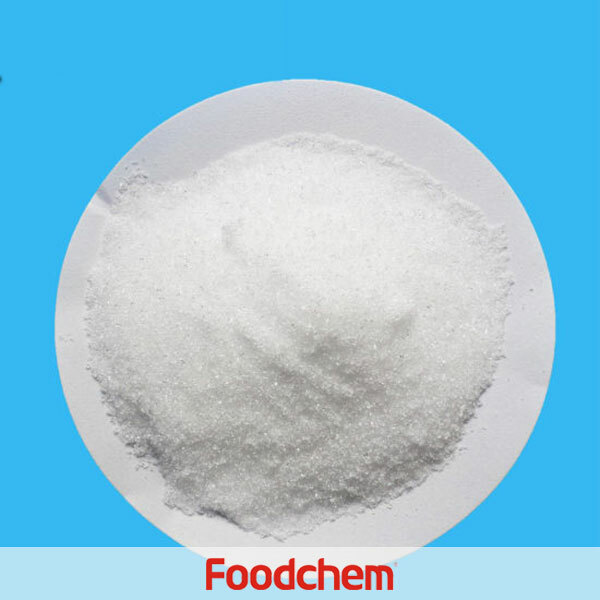 Foodchem is both manufacturer and trading company, we are Calcium Lactate distributor, at the same time, we are manufacturer of other products. 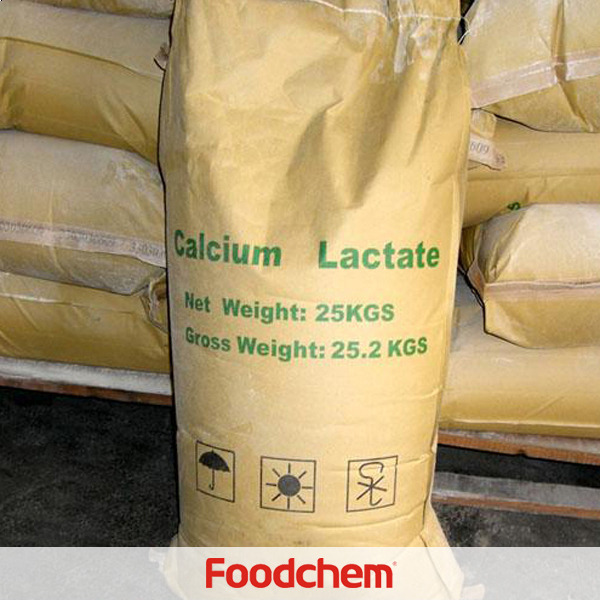 3, What is the Min Order Quantity of Calcium Lactate? Different products have different MOQ, for Calcium Lactate, the MOQ is 500kg. 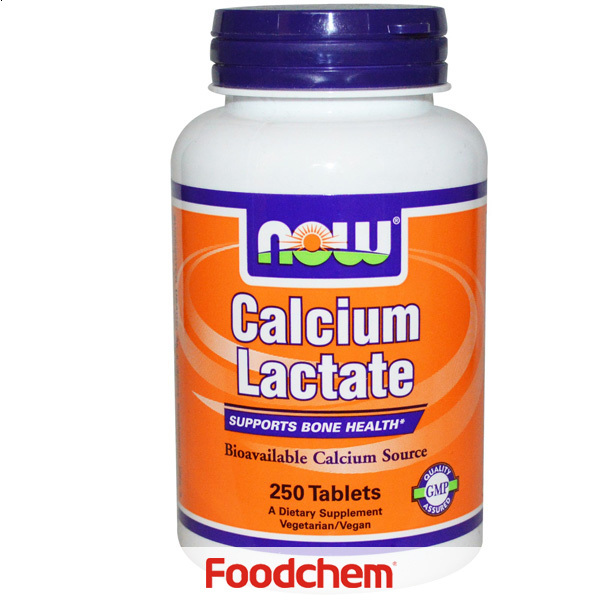 4, What is the price of Calcium Lactate? Foodchem is a famous supplier and manufacturer of Calcium Lactate in China, and has been corporate with many Calcium Lactate suppliers for several years, we can provide you with cost-effective Calcium Lactate. We can guarantee to reply your inquiries of Calcium Lactate in less than 24 hours in working days. 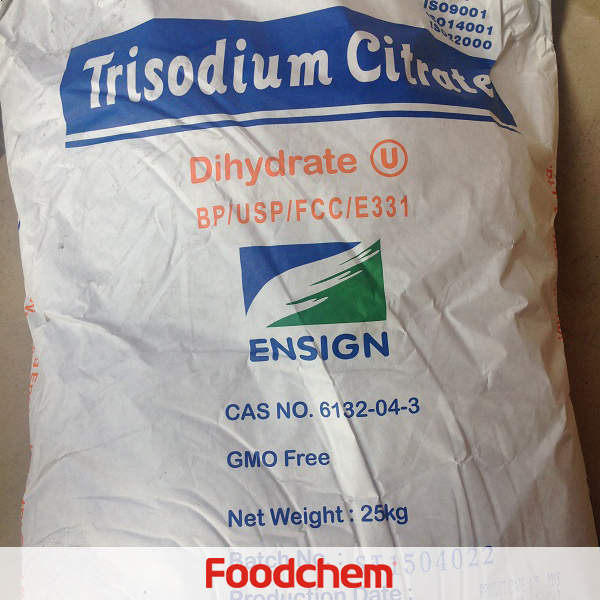 Mohamed Magdy Q : Hello,we are looking for Calcium Lactate and calcium alginate,do you sell these two product? 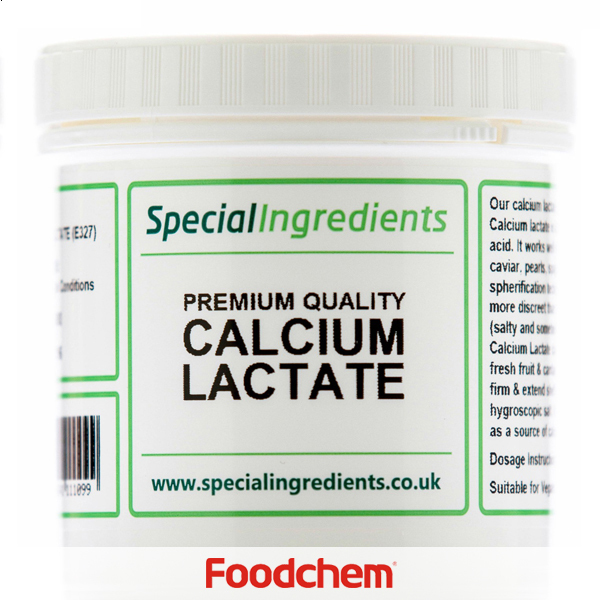 FOODCHEM A : Yes, we can supply both calcium lactate and calcium alginate. Nina Petrosiuk Q : We are interested in Calcium Lactate food grade powder,can you export it to Russia? 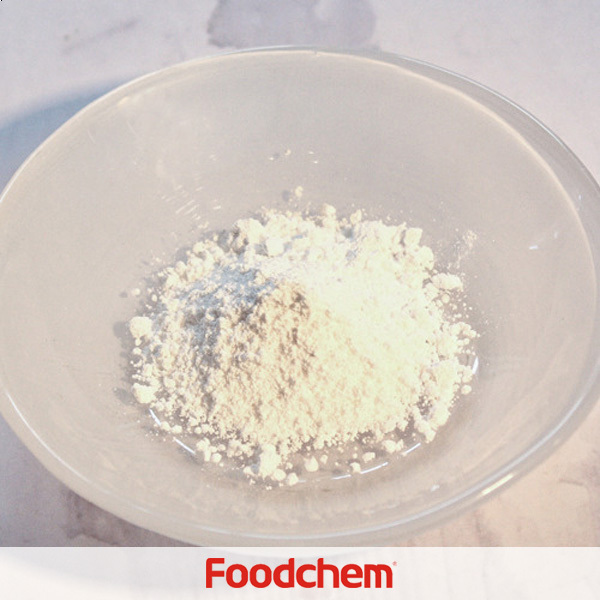 FOODCHEM A : Glad to hear from you,we have been exporting our products to Russian for years.It will be our honour if your esteemed company avail us this opportunity to supply you our calcium lactate food grade powder.Looking forward to your good news. Lucy BaninaQ : Hi,We are a Russia company,ready to make an order for food grade Calcium Lactate powder 18 mt .Can you give us your price. MOQ and delivery terms.We also interested in such products like: gelatin, sodium caseinate.Maybe your can also do these? 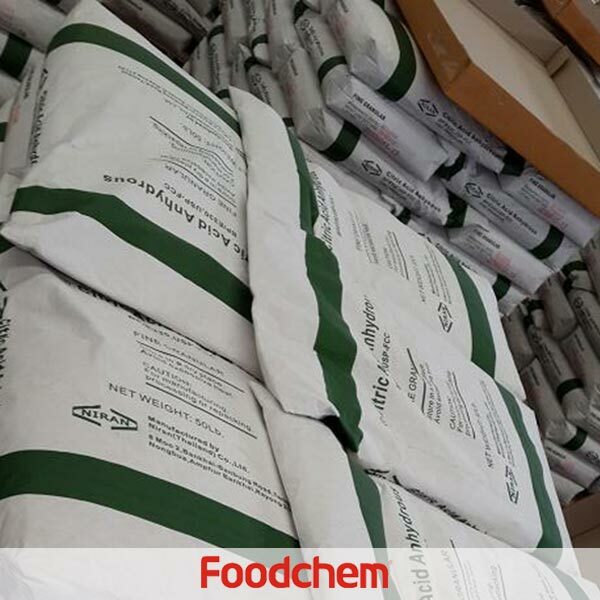 FOODCHEM A : Thanks for your inquiry,we are able to supply all the products you have mentioned above,our sales manager has send you product details,please kindly check,if you have any other question,please feel free to contact us.